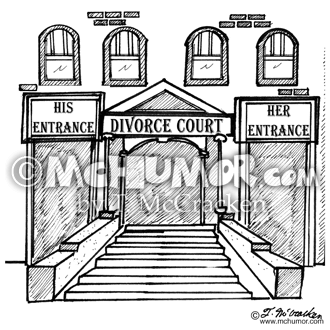 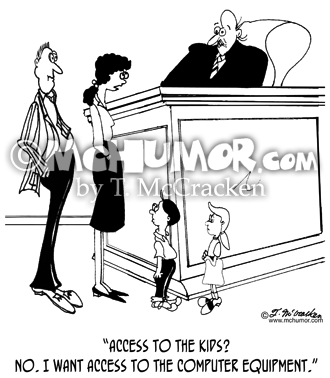 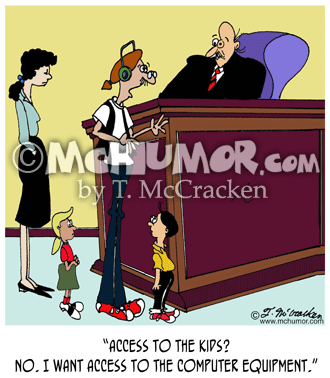 Divorce Cartoon 2022: Divorce Court has “His” and “Hers” entrances. 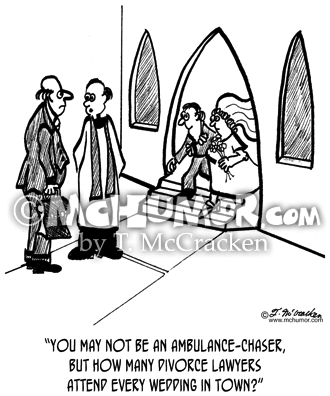 Lawyer Cartoon 2646: As a wedding couple leaves a church a priest says to a lawyer, "You may not be an ambulance-chaser, but how many divorce lawyers attend every wedding in town?" 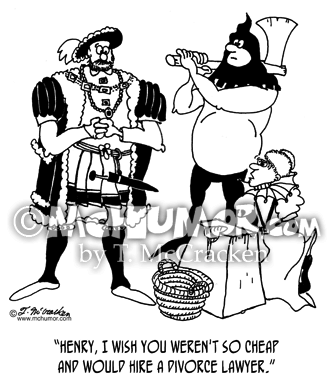 History Cartoon 5312: One of Henry VIII's wives on the chopping block saying, "Henry, I wish you weren't so cheap and would hire a divorce lawyer." 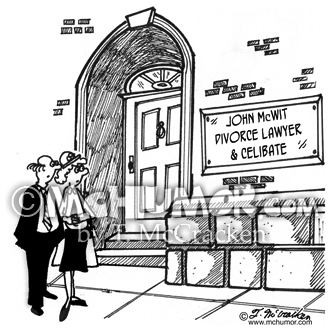 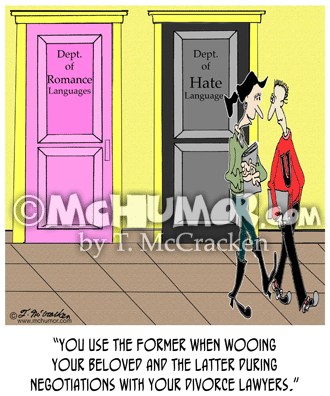 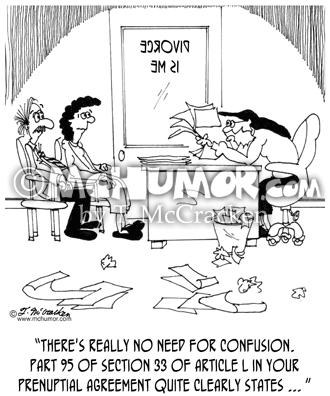 Divorce Cartoon 5297: Door nameplate says, "John McWit, Divorce Lawyer & Celibate." 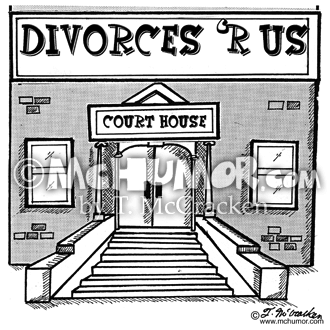 Divorce Cartoon 2644: "Divorces 'R Us" is etched in stone on a courthouse.